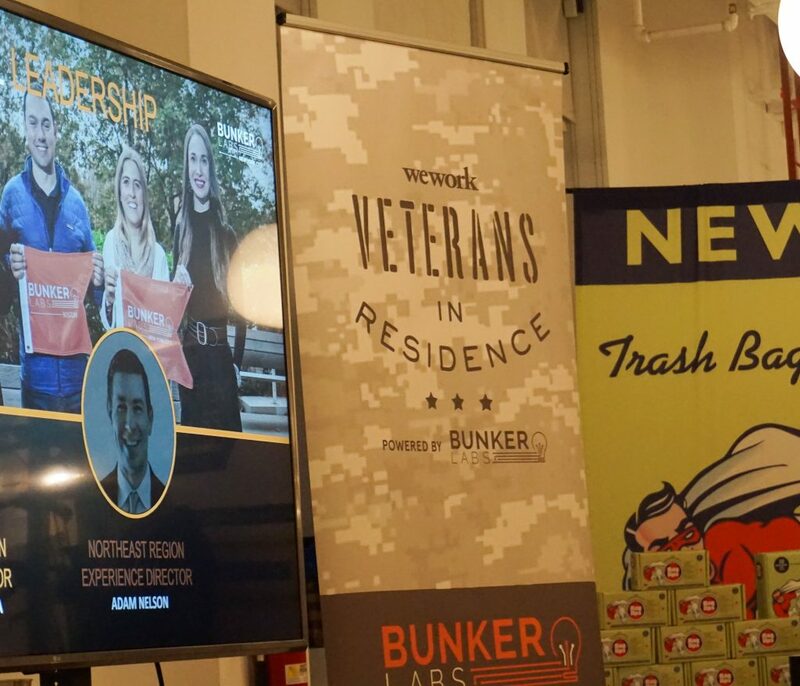 Bunker Labs, a non-profit organization supporting active duty and veteran entrepreneurs, hosted their Veterans in Residence launch party. 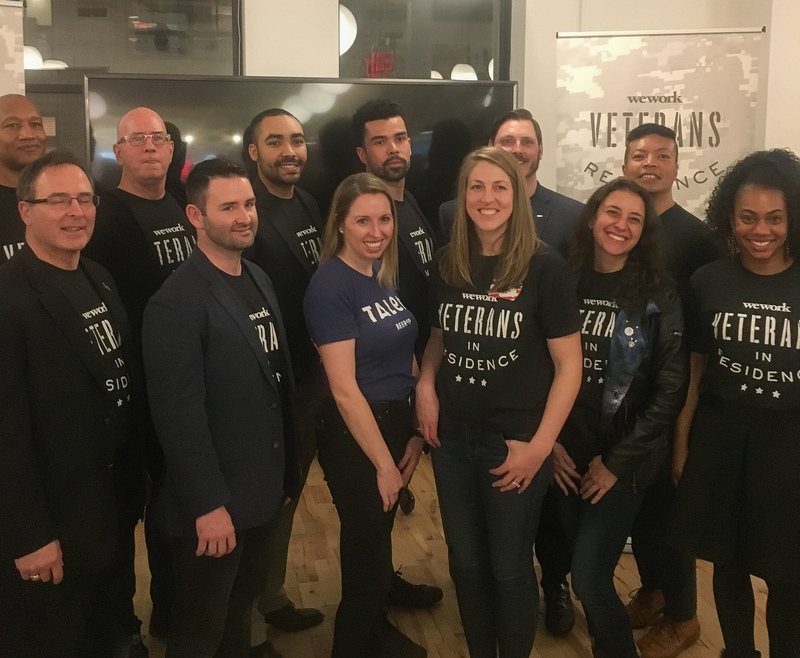 In partnership with WeWorks, the Veterans in Residence program is a six-month fully-sponsored program providing work space, business mentorship, and community to help veteran and military family member entrepreneurs find their tribe and create their life’s work. 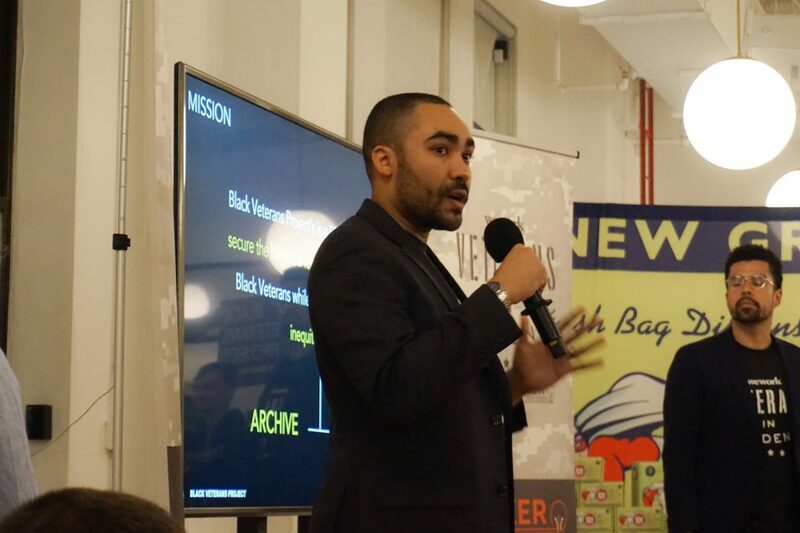 The New York City launch party showcased ten entrepreneurs who are pursuing a range of opportunities, from a craft brewery, artificial intelligence resource platform, and unique trash bag dispensing system to a coffee roasting company whose profits support a disaster relief non-profit organization. Click below to read more about the companies and the incredible work being done by Bunker Labs. Approachable, lifestyle-focused beer low in bitterness and fruit flavor-forward. Provides training resources, tools & expert advisory through subscription-based platform to help companies – small and large – to better engage, hire and retain top military talent. If Groupon and Yelp meet on Tinder, the results would be Dashible. A frictionless deal creation/distribution platform and consumers choice and fun. Created to ease military veteran transitions back into civilian life. Use artificial intelligence to make reintegration seamless. 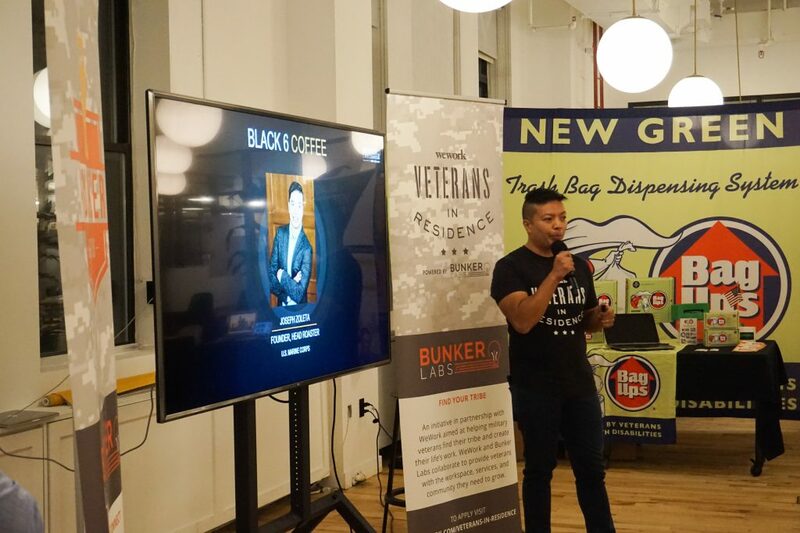 Coffee company used to fund disaster relief non-profit the Black 6 Project. Committed to reducing our carbon footprint, BagUps are oxo-biodegradable bags and recyclable cardboard boxes used to reduce our impact on the environment. Secure the historical legacy of our nation’s 2.5 million black veterans while advocating against inequities they face. Tiered monthly membership subscription where members use drink credits with an exclusive, curated list of partner establishments. Organizational development and design experts who believe in making work more effective and less painful.